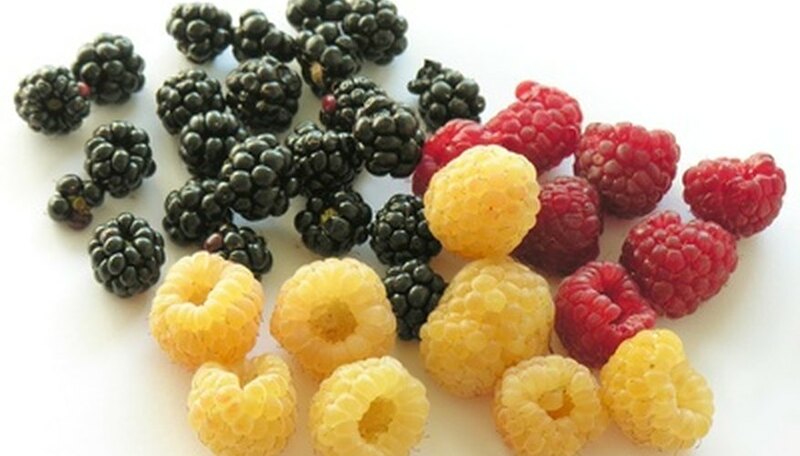 Berry vines come in many different varieties, from well-known raspberry vines to more rare silverberries. 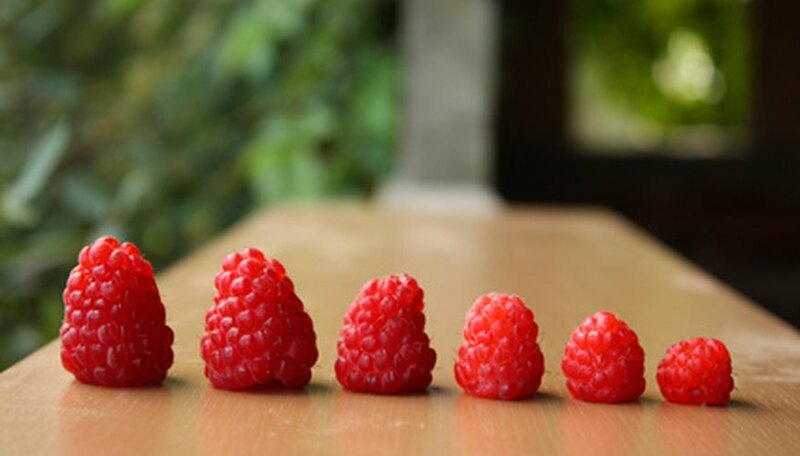 Since most vines look similar, it's important to recognize the small differences in berries, leaves and vine growth to tell them apart. In addition, having a regional guidebook on hand will make it easier. Apple berries, which are reddish brown and about 1 inch long, are evergreen and have a thick, base-like a shrub that sprawls outward. The foliage is between light and dull green with small yellow trumpet flowers and long narrow leaves. The berry is edible. 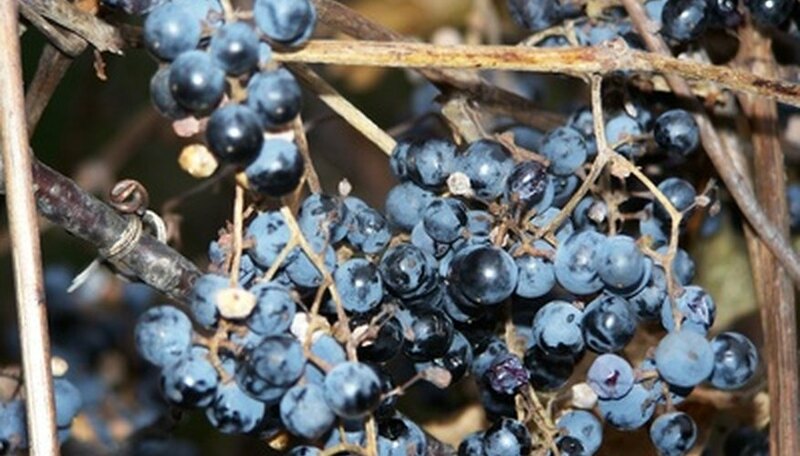 Boysenberry vines, which resemble cane vines more than a sprawling shrub, feature dark purple to indigo berries. The leaves are smooth and fat with a textured underside, and the berry is edible. 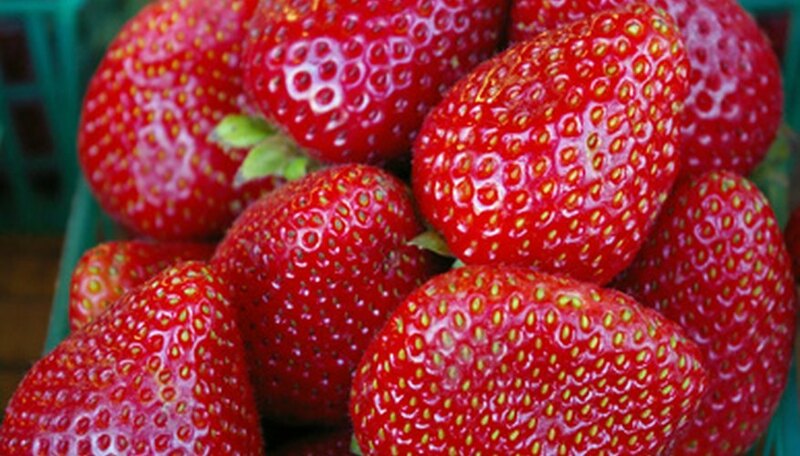 Strawberries grow on the ground on a small shrub, quickly growing outward and climbing onto objects. The light green vines have large heart-shaped flowers and red heart-shaped fruit with tiny edible seeds. Small white flowers with a yellow center flourish on this vine before fruit forms. Raspberry plants feature light pink to dark purple edible berries and thrive from late spring to fall. The vines are woody, thick, brittle and covered in thorns. You may be able to smell the golden currant berry vine before you see it. This vine is aromatic, with long gold blossoms and thick woody vines. The deciduous foliage often covers up the berries, so you may have to push the vines aside to see them. The shrub grows to between five and six feet tall, then sprawls outward into vines. The rare silverberry shrub grows out into vines, with small white flowers and red berries. The vines thrive from late summer to early spring.